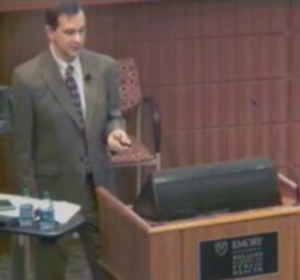 On March 5th, our President, Dr. David Pelletier was invited to the Rollins School of Public Health at Emory University to share why and how SISN was founded, as well as the Society’s ongoing work in strengthening the science and practice of nutrition implementation at global and country levels. We are delighted to share Dr. Pelletier’s presentation entitled “Implementation Science in Nutrition: Rationale, Frameworks and Introduction to the Society”. The full recording is available here and a pdf copy of the slides can be downloaded here. We welcome your thoughts, comments and questions; please send any feedback to: info@implementnutrition.org. As this presentation provides a comprehensive description and explanation of SISN’s strategic plan and underlying conceptual thinking, please share it widely with anyone interested in implementation in nutrition. To find out more about how to engage with us and the benefits of becoming a member, please click here. Acknowledgements and Permission for Use: Thanks to the Rollins School of Public Health, Emory University for providing permission to share this recording on our website. The pdf version of the slides may be copied in any form and used for non-commercial purposes provided that the content of any copy is not altered and, it is clearly indicated that SISN is the originator of this material. Please cite as Society for Implementation Science in Nutrition (SISN) “Implementation Science in Nutrition: Rationale, Frameworks and Introduction to the Society” March 2018.